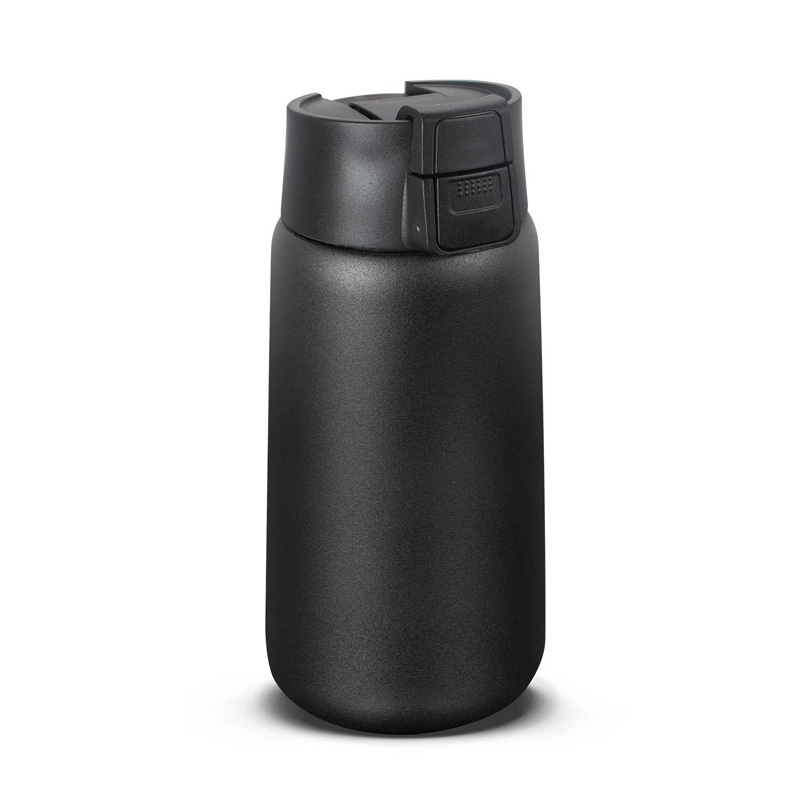 Impressive 500ml double wall, vacuum insulated stainless steel mug with a smart powder coated finish which will keep drinks hot or cold for up to six hours. It is also ideal for taking soup and food to work or school. Stealth features a wide top opening with a secure screw on lid and a push button activated flip closure which is spring loaded for smooth, effortless operation. 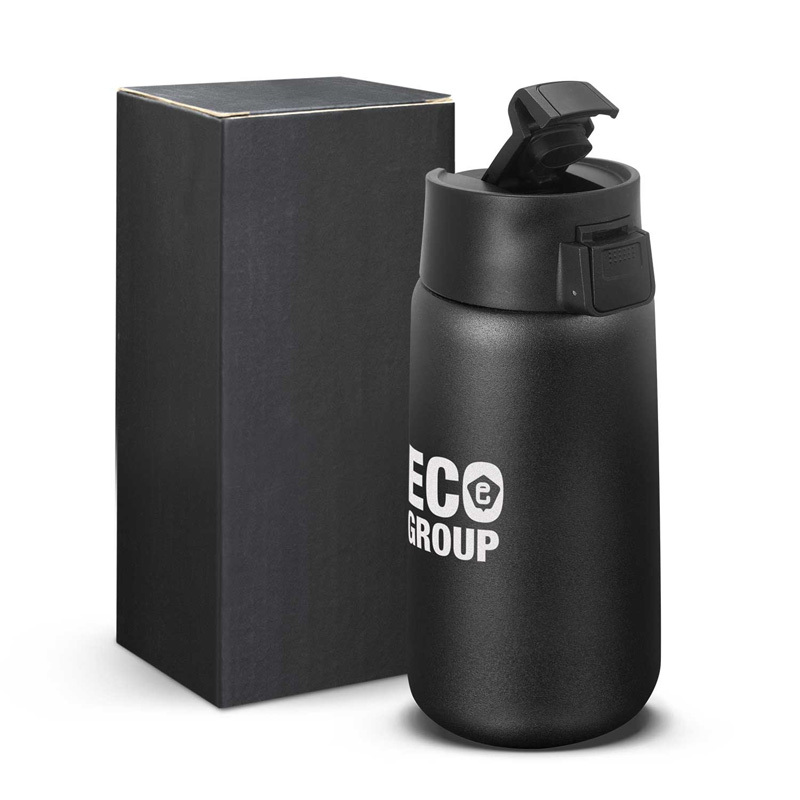 The lid prevents leaks and spills even if the cup is knocked over and it is so robust it can be carried in a bag or back pack. 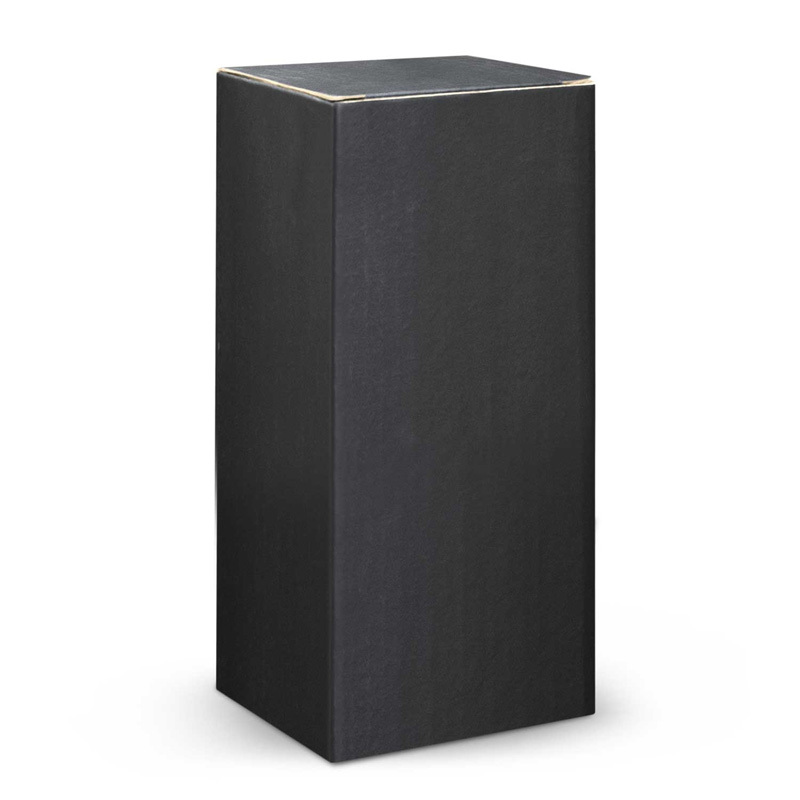 It laser engraves to a stainless steel finish and is presented in a black gift box. It has an indefinite life span which keeps brands in the public arena for longer and also helps to limit the use of single use coffee cups and water bottles. Screen Print: 215mm x 60mm (one colour).